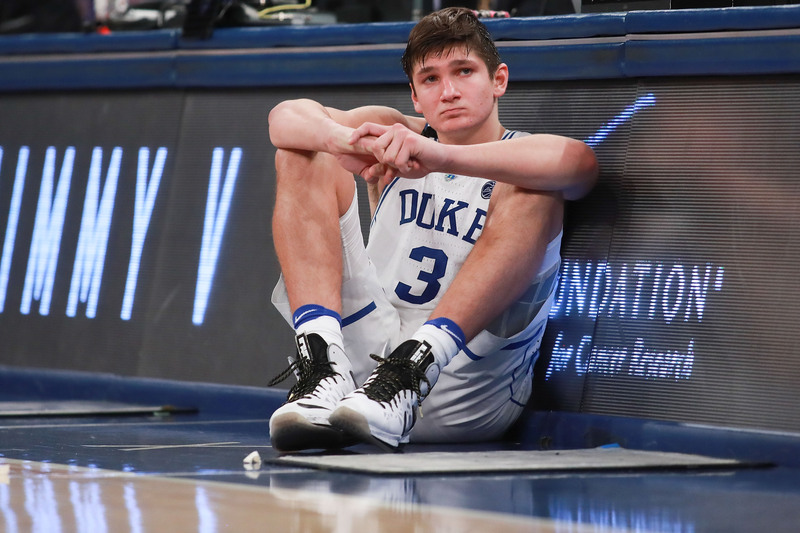 Coach K is finally done with Grayson Allen’s on-court shenanigans. The Duke Blue Devils coach released a statement on Thursday announcing that after reviewing the controversial play in which Allen tripped up an opposing player intentionally, the guard will be suspended indefinitely. The statement comes as a bit of a surprise, as Krzyzewski has stood by his star as he’s committed illegal play after illegal play. Most of which involved tripping or kicking. Check out his previous defense of Allen. Coach K dodged the question of a possible suspension last night, saying, “I handle things the way I handle them, and I think I’ve handled this correctly, and moving forward I will continue to handle correctly and I don’t need to satisfy what other people think that I should do.” The non-answer seemed to indicate Allen wouldn’t be suspended, but it turns out Coach K decided it was time to send a message to his star player. Though “indefinite” sounds harsh, there’s little chance Allen’s suspension will carry over very deep into ACC play. It’s more likely Allen will sit for two or three games and think about what he’s done. Developing a reputation as a dirty player who can’t keep his flailing feet to himself isn’t something to be proud of. Ask Draymond Green. When Coach K is forced to suspend a star player, you know the actions committed were worth sitting out. Allen is a repeat offender. He deserves it.